Armoured cars are here and what better way to celebrate than a full month dedicated event? 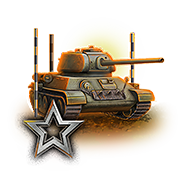 From 6 February at 06:00 CET to 7 March at 06:00 CET take the new wheeled vehicles out for a crazy spin and while you climb your way up the branch, complete missions for each vehicle to earn rewards. Each mission will give you Personal Reserves and Consumables, as well as tokens for extra rewards like equipment and a cool style. On 8 March at 18:00 CET, Wargaming will finish the event with a big stream, including a special guest and giveaways with plenty of prizes. To be eligible for any of the stream’s prizes, you need to have completed at least one of the missions above. *This tank comes with a 100% trained crew, a garage slot and a Black Widow Style! Photo Contest: Show your wheels and win a Panhard EBR 75! If you need more high-speed action, Wargaming has the perfect activity for you! Show them what kind of wheels you ride in real life to participate in this photo contest and win a Panhard EBR 75 of your own! Take a picture of yourself riding whatever wheeled vehicle you own, it can be anything: a car, a scooter, your little sister’s tricycle, it doesn’t matter! Share it on Twitter or Instagram with the hashtags #worldoftanks and #wheeledvehicles and include your in-game nickname in the description. They will reward the funniest and most creative photos along with some lucky random winners! well, armoured cars are fun, but the maps in WoT just don’t fit them. maybe these vehicles are the catalyst that makes WG realise that they’re bad at designing maps. PS: eekeeboo is a EDITED. Don’t you think that comment is unnecessary? I think the world and he himself should to know that :D. Feel free to delete this or spread the word in a separate blog post 😉 . The lynx wheel system is backwards. It should be faster all wheels down and turn better with 2 wheels up. They implemented it the other way around.